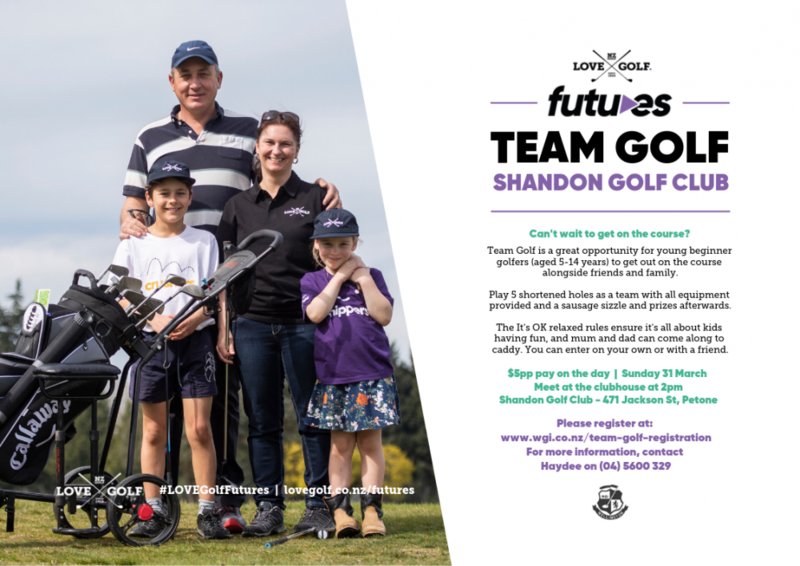 2pm Sun 31st March - Team Golf event at Shandon Golf Club, Jackspn St, Petone. Team Golf is a great opportunity for young beginner golfers (aged 5-14 years) to get out on the course alongside friends and family. Play 5 shortened holes as a team with all equipment provided, and sausage sizzle and prizes afterwards. Relaxed rules ensure its all about kids having fun, and mum and dad can come along to caddy. Enter on your own or with a friend by registering at www.wgi.co.nz/team-golf-registration. Cost is $5 per person.